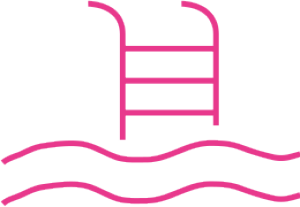 Ask the people in the pool why they chose Waterside and they will tell you – they are some of the best private swimming lessons in Manchester. From children’s water confidence, to adult swimming lessons, our lessons provider Total Swimming (0161 764 2224) have the level you need. And if you love swimming, but lose track of your lengths, or wonder if you are improving your technique, then Waterside Didsbury has the answer – Swim Tag. This wristband will record the number of lengths, split times, stroke rate and stroke type during your swim. Then you can monitor your progress online, check for new PB’s, share results with friends and take part in challenges with other swimmers!